Linda Sue (Chance) Hale, Apache, was born December 16, 1942 in Apache to Raymond “Jake” Chance and Elizabeth (Walker) Chance. 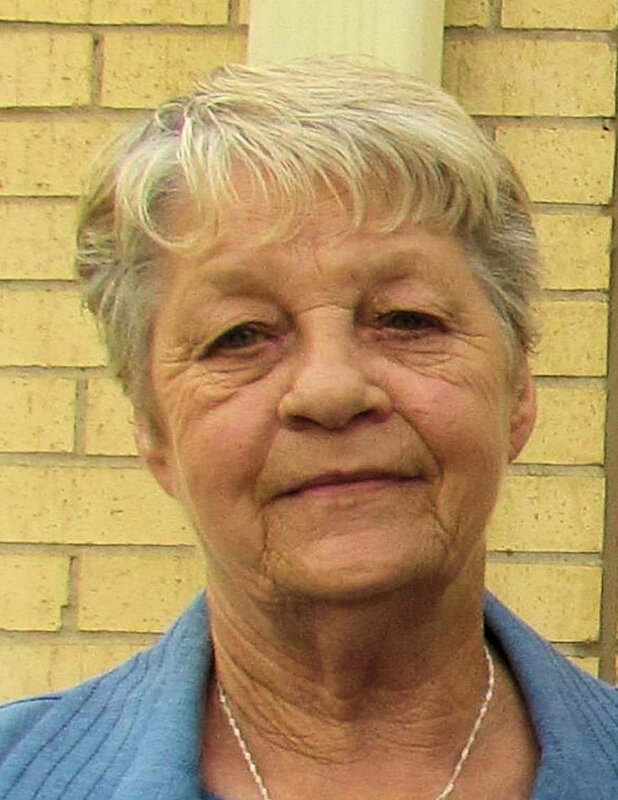 She passed away peacefully on October 30, 2018 at the age of 75. Visitation will be held Thursday, November 1, 2018 from 6pm-8pm at the funeral home. Funeral services will be held Friday, November 2, 2018 at 11am at the First Baptist Church, Apache with Kerry Glasgow officiating. Burial will follow at Fairview Cemetery under direction of Crews Funeral Home. Linda married Randell Hale and together they had four children. Linda was primarily a homemaker, but she enjoyed the jobs she had over the years. She worked at Mo Betta, Warrior Café, City of Lawton, and Ray’s Pharmacy. Linda was a caring, loving person who loved her family dearly. She loved going to any school activity that her grandchildren and great-grandchildren participated in. She especially loved going to ball games. Linda enjoyed working in her garden and doing things outdoors. She also enjoyed music. Linda was an Eastern Star Worthy Matron. Linda is survived by her husband, Randell, of the home; children: Randy Hale and wife Trish of Elgin, Debbie Caldwell and husband Chris of Lawton, Brenda Graham of Apache, and Rhonda Scammahorn and husband Monte of Apache; grandchildren: Joey Graham and wife Carmen, Nickiah Hale, Adriane Marshall and husband Garrod, Joshua Hale and wife Erin, Megan Hicks and husband Jonathon, Chris Caldwell, Jr and wife Lindsay, Chance Caldwell and wife Carly and Avery Scammahorn; great-grandchildren: Noelle, Judson, Rhett, Reese, Chayse, Luke, Cailin, Ridlee, Chaysen, Catchyn, Dylan, Clemsyn, Hayden, and twins on the way; siblings: Jerry Chance and wife Sue of Indiahoma, Janice Kendall of Lawton and Danny Chance and wife Paulette of Lawton. She was preceded in death by her mother and father, Elizabeth and Raymond “Jake” Chance; and brother, Raymond Chance. Linda’s online guestbook can be signed and condolences sent by visiting: www.crewsfh.com .